HUNDREDS of pupils are to be taught mindfulness techniques and breathing exercises as part of one of the largest mental health trials in the world. Up to 370 schools in England will offer the lessons to improve children’s wellbeing and regulate their emotions. Pupils will also be offered sessions with mental health experts as evidence is gathered about which methods work best and should be used more widely. 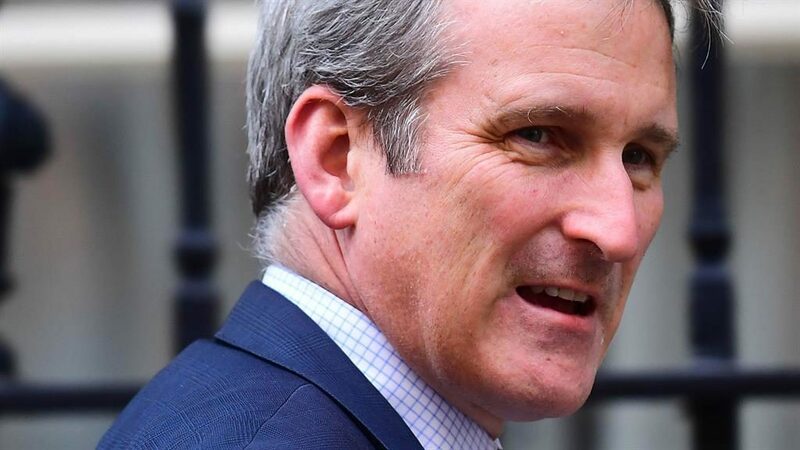 Education secretary Damian Hinds (pictured) launches the trial today to mark the start of Mental Health Week. He said: ‘As a society, we are much more open about our mental health than ever before, but the modern world has brought new pressures for children, while potentially making others worse. The trial, being led by the Anna Freud National Centre for Children and Families — will be used to assess five approaches. Two of them involve short information sessions for secondary school pupils, while three ‘lighter-touch’ programmes in primaries will draw on the mindfulness, breathing and muscle relaxation techniques. Mr Hinds said the importance of wellbeing and happiness would also be discussed with pupils as part of compulsory health education being introduced in all schools. ■ UP to 80,000 children in England could have been home-schooled last year, a report by Children’s Commissioner Anne Longfield suggests. She is calling for a compulsory register, as research for Channel 4’s Dispatches reveals 93 per cent of councils have no records of some ‘off the grid’ children.